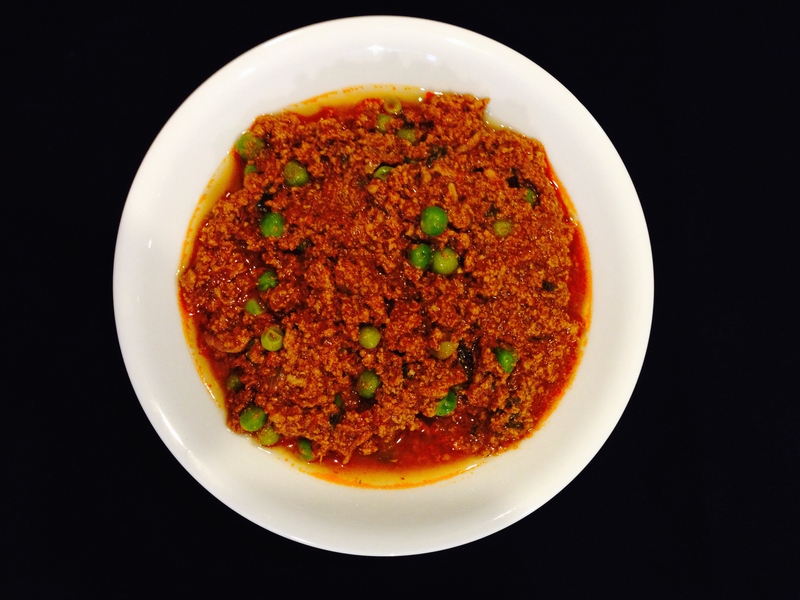 Kheema, the Indian version of “chili”, is one of the most common non-vegetarian dishes cooked in India. It can be eaten with rice, bread (chapati) and as a treat, puri (deep fried bread). There is also variation of kheema without the tomato – it more of a dry dish and uses similar ingredients. Depending on your menu or preference either one can be made, see note below. I prefer to use lean ground beef, but in India, goat meat is used in all meat preparations. It is leaner than chicken but is a good choice for kheema because it can be a little on the tough side depending on the cut of meat. You can also use Veggie Crumbles as a substitute for meat. Heat oil in a medium saucepan, add onions and stir fry till the onions are medium brown about 3-4 minutes. Add the cumin seeds, cloves, cinnamon and cardamon. Stir for 30 seconds. Add the ginger, garlic,cayenne, salt, turmeric to the pan and stir till the spices are blended. Add 2 tablespoon water to the pan, and when the water evaporates, add the tomato paste with about 1/2 cup more water. Stir until the sauce is smooth and bring to a simmer. When you see the oil rise to the top, add the yogurt and continue to cook for another minute. Add the ground beef and stir constantly making sure that there are no big clumps. Cover and continue to cook for 10 minutes on low heat stirring occasionally. Uncover the pan, add the coriander powder, garam masala and the frozen peas. Simmer for another 5 minutes. Add the cilantro and a squeeze of lime. Follow the above directions omitting the tomato paste and water. When cooking the ground beef, sauté on low heat (uncovered) until the meat is dark brown in color (you may need to cook for an additional 5 minutes). Stir in the coriander powder, garam masala and peas. Add cilantro and lime, if desired.